Tumblr to stumble into Yahoo for $1 billion? It seems a $1 billion is the going rate for successful social media platforms these days. A year after Facebook dropped a cool billion acquiring photo sharing service Instagram, rumours are swirling that Yahoo wants to spend the same amount to purchase blogging platform Tumblr. Initially broken by AllThingsD and later corroborated by AdWeek, the potential acquisition of Tumblr by Yahoo would provide a much-needed injection of youth to the internet giant's customer base. 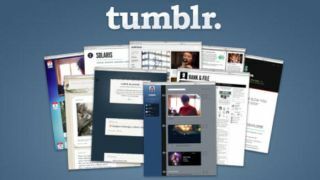 Tumblr has been on a fundraising binge recently, having raised a total of $125 million for a valuation around $800 million, which explains the $1 billion figure being thrown around. But the blogging platform has numbers to back that valuation up. There are just under 108 million Tumblr blogs, more than 50 billion posts and and 117 million visitors every month. While Yahoo buying Tumblr makes perfect sense as a way to gain access to a more youthful audience, it may need to move quickly to seal the deal, with talks that Facebook could swoop in at the last minute to spoil the party. According to GigaOm, Yahoo is concerned that Zuckerberg and pals will try and get in and acquire Tumblr at the last minute. Given the discovery that Twitter was in talks to buy Instagram before Facebook stole its thunder, the threat is a real one. But despite all this, the fact remains that the Yahoo deal is far from being chiselled into stone, with all reports of the deal making it clear that neither party has signed off on it yet.